If the waves are too big, come in and get some back to school, back to reality clothes! All 25% off! 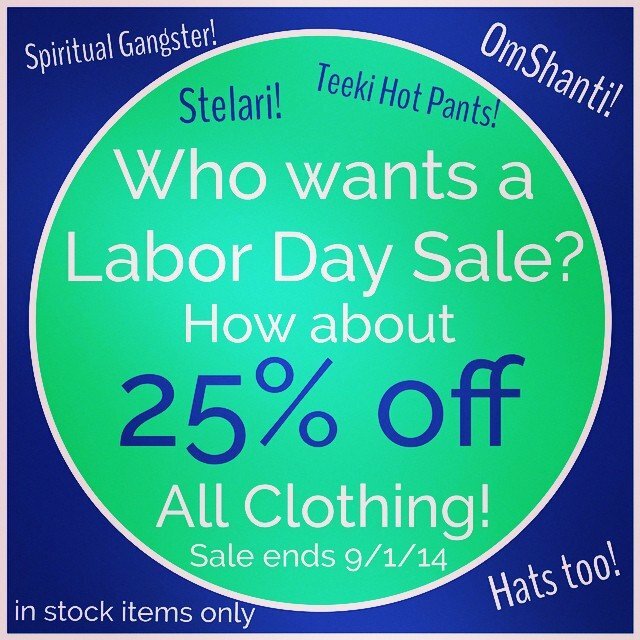 #spiritualgangster #stelari #teeki #omshanticlothing, yoga pants, tops, tie dye collection, scarf dresses #HAREMPANTS, scarves, #encinitasHats! Even sale items! Sale ends Monday 9-1-2014! In stock items only!